T&T: Tell us a bit about your gardening. AN: Gardening has been a passion of mine ever since I spent 4 months living in Iten, Kenya back in 2011. While I was there everyone I met was making use of their land to grow their own food. Even if it was just a small area, people would plant and grow whatever they could. When I returned to the US, I re-purposed my own yard into a vegetable garden. I love growing my own food and pretending I’m a farmer in the middle of a city. T&T: Biggest lesson learned during an Ultra/ possible mistake or opportunity you learned from. 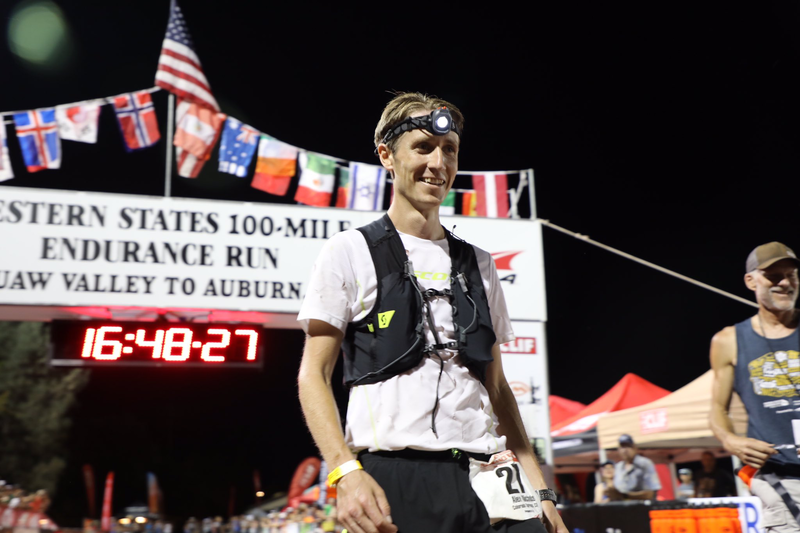 AN: Fellow ultra runner Sage Canaday once told me that running ultras is all about dealing with the ebbs and flows. I don’t think I’ve ever had an ultra race go completely perfectly but I know that if can get through the ebbs it is just a matter of time before it flows again. Granted sometimes the ebbs outnumber the flows at the end of a 100 mile race but if I can stay in the race mentally there is almost always something good waiting around the next corner. T&T: What have you learned from collegiate cross country and track that you carry over to your training for ultras? AN: One of the most important training principles I try to teach my athletes at Colorado College is to take recovery seriously. I have found that recovery can often be overlooked by athletes when they feel that their fitness and strength has improved, but when that happens the next injury or setback is often right around the corner. In my own training I have found that recovery is just as important, or even more important in ultras. Easy days are sometimes the hardest to take but they are vital for big improvements and long term success. T&T: Your racing style is pretty effective, tell us a bit about that. AN: The race reporting website irunfar.com once called me a “lurker” in one of the pre-race interviews. I was a little offended at the time, but I understood what they were getting at. Since I come from a track background I have a really good sense of pace and splits. In track races the person who runs the first lap of a 5k too fast always blows up. My approach to ultra racing is basically not be that guy. This plan almost always puts me in a great position to chase down those runners who have gone out too hard.